Around the time Vidarbha's farm crisis had caught the attention of the national media, a Marathi writer had penned a novel on the subject that eventually won the Sahitya Academy award. The 2004 novel, Baromas, has now been made into a 110-minute feature film in Hindi by Dheeraj Meshram, a young director hailing from the region. The film features actors such as Benjamin Gilani, Seema Biswas, Rohit Pathak, Devika Daftardar, Jatin Goswami and Subrat Dutta and has been shot entirely in Vidarbha. Actor Rohit Pathak most awaited movie Baromas is going to release on 17th june. 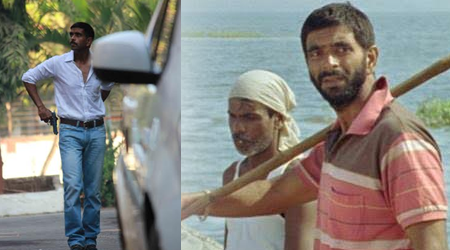 Rohit Pathak is playing one of the key characters in the film as a Fisherman. Rohit Pathak last release was Khel Toh Ab Shuru Hoga where his character was apriciated by Bollywood and critis. Baromas is the story of two farmer brothers, who take up the issue in contrasting ways. While it is the story of a farmer and his family entwined with conflicts, confusions and compassion, it looks at a much larger picture,The film also shows how a family copes with the situation in Vidarbha region. It also touches larger issues of corruption, unemployment, methods of farming, and farmers' suicides amidst harsh socio-economic conditions through the story of one family.